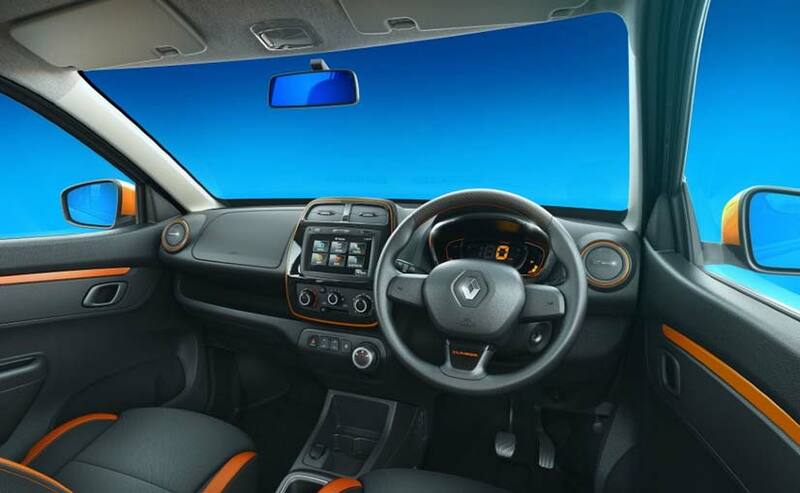 Renault has finally launched the climber on roaid at a price of Rs 4.30 lakh for the 5-speed manual transmission variant. The AMT-equipped variant has been priced at Rs 4.60 lakh. The company first came out with a more powerful, 1.0-litre engine equipped in Kwid SCe and then added an AMT transmission variant in the form of the Kwid Easy-R.
Kwid CLIMBER offers a segment leading length, power to weight ratio, boot space, ground clearance and cutting edge technology, the company also said that it have lots of several first-in-segment features led by its SUV inspired design, 7-inch touchscreen MediaNAV system, digital Instrument cluster, one-touch lane change indicator, radio speed dependent volume control and pro-sense seat belt pretensioners with load limiters. This SUV-like appearance which has been the Kwid’s biggest attraction that remains to be seen the market reaction by introduction of model as the car sees a price bump of almost Rs 30,000 over the top-end Kwid already on sale.